Competing in their third of four contests on WHL on Access as part of their six-game season series, the Saskatoon Blades return to Regina to battle the Pats Friday night. Although the Blades have taken the victory in the majority of games against the Pats, Regina falls just closely behind. Going head-to-head, the Blades have recorded a 3-1-0-0 record leaving the Pats with a 1-2-1-0 result in the head-to-head battle. However, the two teams’ last 10 game records could not be more different. 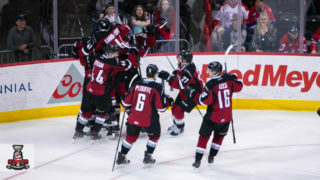 Saskatoon continues to hold second-place in the East Division after going 6-2-2-0 in their last 10 games with 65 points, placing them just in front of the Moose Jaw Warriors, who have 62 points. Conversely, Regina sits in fifth place in the East Division with 29 points after going 1-8-0-1 in their last 10 games. 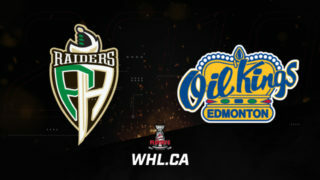 Unable to catch the Prince Albert Raiders this far in the season, the Blades’ goal will be to continue holding down second-place position in the East Division. With 2019 NHL Draft prospect Kirby Dach and Blades assistant captain Dawson Davidson in the top 25 players in scoring, they will be a key component of the Blades‘ game against the Pats. 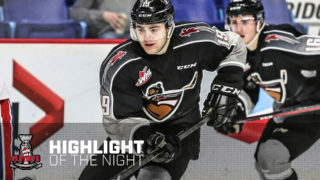 Dach has recorded 52 points (18G-34A) and Dawson has collected 51 points (9G-42A) thus far into the 2018-19 WHL Regular Season. Not far behind in points, are newly-acquired forward Ryan Hughes, assistant captain Max Gerlach and Gary Hayden, who has points in 12 of his last 14 contests, totaling 19 points (8G-11A) in that span. Saskatoon’s leading goaltender, Nolan Maier, has also contributed to the Blades’ placement in the East Division with a 0.907 save percentage this season. 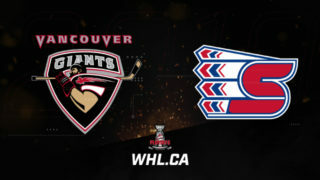 Together, the combined offensive, defensive and goaltending power of the Blades could be successful against the Pats. Playing their last game at home before heading out on a Central Division road trip, the Pats will look to kick-start a positive result before leaving home territory. Initiating that change could be two Regina players that lead the team in scoring. 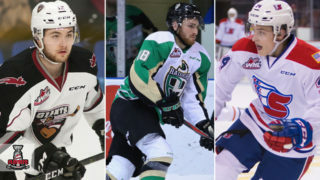 If veteran Austin Pratt and rookie Riley Krane can guide the Pats to a successful game against the Saskatoon Blades, luck may be on their side for their Central Division swing. With Max Paddock returning to the Pats’ crease Tuesday against the Calgary Hitmen, the Pats have their capable duo at full strength between the pipes. 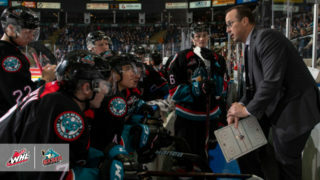 Both have shown flashes of success against the Blades this season, with McNabb playing a role in a come-from-behind victory back in November 2018. Paddock meanwhile had a strong 36-save performance against the Blades on January 4, 2019. Tune in to catch all the action at the Brandt Centre live on AccessTV as the Pats defend home base against the Saskatoon Blades.